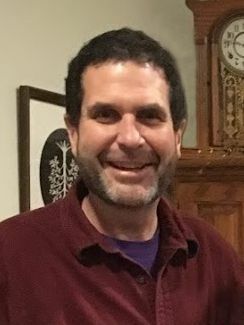 Darryl R. Horst, 55, of Leola, formerly of Lancaster, went home to be with the Lord on Wednesday, Nov. 28, 2018. Born in Lancaster, he was the son of Florence Mae Zimmerman Horst of Landis Homes and the late Eugene H. Horst who passed away in September. He was a 1981 graduate of Lancaster Mennonite High School and the Automotive Training Center, Lionville. 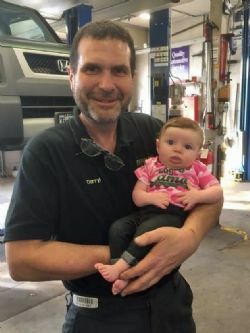 Darryl worked as an automotive technician for Steffy's Garage Inc., Leola for over 30 years. He was actively involved with Victory Church, Greenfield Lancaster and was a member of the Men's Bible Study. 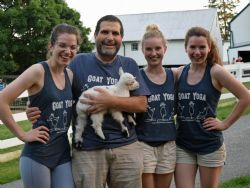 He volunteered with the CVHS Marching Band and was an avid supporter of his daughters' goat yoga program. 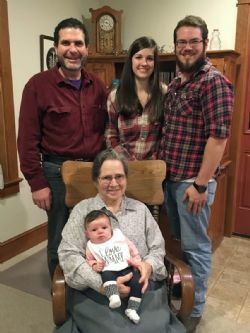 He will be lovingly missed by: four daughters, Jessica married to Pastor Jeffrey Kutz, Fairfield; Mikayla Horst, Amanda Horst, and Sarah Horst, all of Lancaster; a granddaughter, Eden May Kutz; mother, Florence; brother, Mervin of New York, NY; sister, Cynthia Horst, Lancaster. The family would like to thank the caring staff at Landis Homes as well as Darryl's good friends Tony Galati and Mike Hurst for their support. The Celebration of Life Service will be 11:00 a.m. Saturday, Dec. 8, 2018 at the Victory Church Greenfield Campus, 1827 Freedom Road, Lancaster. Visitation with the family: 9:30 a.m. – 11:00 a.m. Kindly omit flowers. Memorials are suggested to: Hospice &Community Care, PO Box 4125, Lancaster PA 17604-4125.